John M. Quinn, of John M. Quinn & Associates, Ltd., has been helping the residents of Illinois, as well as those who live out of the state, for over 20 years. 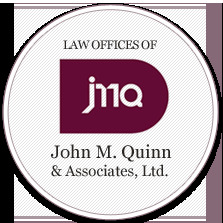 John M. Quinn & Associates, Ltd. concentrates in the area of law that helps clients reinstate their drivers license after they receive a revocation or suspension. Mr. Quinn understands the impact that not being able to drive can have on their life. He has made it his priority to help counsel those who have had their licenses put on hold, suspended, or revoked. With the recent election of J.B. Pritzker as governor of Illinois, the possibility of the legalization of recreational use of marijuana is looming. Pritzker is a big supporter of legalizing the drug for recreational use, and he has stated during his campaign that he wants to work as quickly as possible to get the new law rolling. Because of J.B. Pritzkers stance on marijuana, the fact that medical marijuana is already legal in Illinois, and Michigan is in the process of working on their own legalization laws, many people believe that this new law is inevitable. In fact, Forbes has announced that Illinois is one of the top states most likely to legalize marijuana in the next year. There are many benefits that the state will experience if marijuana is legalized. The states who have already passed laws to legalize the drug benefit from new revenues in the form of taxes on the drug, thousands of new jobs, and an increase in tourism. On top of making money from the legalization laws, states also will save millions of dollars in law enforcement and incarcerating marijuana users. Not everything about the legalization of marijuana use is positive, however. While using the drug itself will be legal, driving a car, boat, or any other type of motor vehicle while under the influence of marijuana will still remain illegal. If the drug is legalized, Illinois can expect a large increase of use, which can, in turn, lead to an increase of DUIs across the state. John Quinn of John M. Quinn & Associates, Ltd. is anticipating the likelihood of an increased risk of DUIs across the state, and he is fully prepared to help future clients regain possession of their drivers licenses. Having the privilege of being able to drive is very important, and those who lose that privilege face hardships, such as not being able to get to work, unable to access the necessary healthcare or visit family and friends. John M. Quinn & Associates, Ltd. works with their clients in this trying time to help them get back on the road as quickly as possible. The firm works towards the reinstatement of their client’s licenses through the legal process. John M. Quinn & Associates, Ltd. knows how taxing it can be on an individual to not be able to drive, therefore, they help their clients petition for a Restricted Driving Permit. A Restricted Driving Permit allows the holder to drive to work, drive to receive any necessary medical treatment, or drive to care for a loved one who is a minor or medically unable. This is just an example of how John M. Quinn & Associates, Ltd. works to make the legal process as easy and convenient for their clients as possible. Each case is unique, which is why John M. Quinn & Associates, Ltd. offers a free, no-obligation consultation for their potential clients. During this consultation, Mr. Quinn will be able to review the details of the situation, as well each clients individual needs. 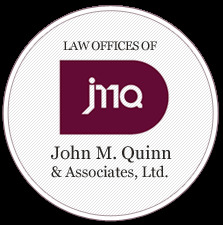 Visit John M. Quinn & Associates, Ltd. website at JMLaw.com to contact them for a free consultation. For potential clients, or clients who are looking for educational resources to learn more about their situation and what can be done about it, John M. Quinn & Associates, Ltd. has an expansive frequently asked questions section, relevant to people who reside both in and outside of Illinois. This FAQ page can be found on the firms website, www.JMQLaw.com, and it offers detailed answers to important topics such as what to look for in an attorney, and what to expect at a hearing. John M. Quinn & Associates, Ltd. is centrally located in the suburbs of Chicago so clients from Arlington Heights, Aurora, Elgin, Naperville, Schaumburg, St. Charles, and many other cities and towns have easy access to their office. To learn more information about Mr. Quinn, John M. Quinn & Associates, Ltd., or the services they offer, those interested can call 630-529-2000. John M. Quinn & Associates, Ltd. is always happy to talk to clients over the phone, through email, or using their contact page of the website. Potential clients can also visit their offices located at 9 Irving Park Rd, Roselle, IL 60172. John M. Quinn & Associates (JMQ Law) has concentrated in the area of Illinois Drivers License Reinstatement and clearing Illinois Holds for over 20 years.